Hungarians call their country Magyarorszag and themselves Magyars. The English name, Hungary, is from Medieval Latin, Hungaria. The name Magyar was one of seven major semi-nomadic tribes that became dominant back in the ninth and tenth century. Hungary has an intriguing, thousand year long history. Located in central Europe, Hungary is landlocked in the Carpathian Basin, surrounded by mountains. The Danube River divides the country and runs right through the capital city of Budapest. At the cross roads of east and west, Buda was considered to be part of Europe and Pest, was part of Asia. Hungary has many neighbors, Slovakia, Ukraine, Romania, Serbia, Croatia, Slovenia and Austria. Hungary’s independence dates all the way back to 1001. However, they were part of many different empires, the Roman, Byzantine, and Ottoman, to name a few. They came into their own during the Austro-Hungarian Empire in 1867. The country has gorgeous architectural styles, grand palaces, castles and public squares, remnants of an empire long gone. The beauty of this country is why it is listed as one of the top 30 places to visit in the world. It was the end of World War I when the Austro-Hungarian Empire finally broke up. The country was then taken over by communists and lost much of its territory. This was a tragic time for Hungary. Then in 1956 there was a national uprising but it ended with more Soviet reinforcements and many Hungarians were forced to flee or lose their lives. It wasn’t until May of 1989, when the Iron Curtain fell, that Hungary began a system of a multi-party democracy. The population of Hungary is made up of 90 percent Hungarians, with Romas being the next largest ethnic group, at five percent of the population. The balance, are people from surrounding countries. Sixty eight percent of the population is Roman Catholic and 25 percent are Protestant. There is a long history of Christianity in this country. One of its national symbols is the Holy Crown or the Crown of Stephen I. He was the first King of Hungary who was later canonized as Saint Stephen. The coronation crown has been used by the Kingdom of Hungary for most of its existence. Today the spectacular Holy Crown is on display in the Hungarian Parliament Building. Budapest has also experienced a Jewish cultural Renaissance with the most populous active Jewish community in Central Europe. It also is home to the Budapest Great Synagogue, the second largest in the world and considered the most beautiful. The Hungarian language is also a significant national symbol. It is spoken by 13 million Hungarians as well as in parts of several neighboring countries. Before World War I, German was the most used second language, then it was Russian, during the socialist period, as it was mandatory in schools and universities. English has now become the most valued second language. The schools, by the way, are excellent in Hungary. The largest and first university was founded in Pécs by Louis I, The Great, in 1367. It is one of the oldest in Europe. 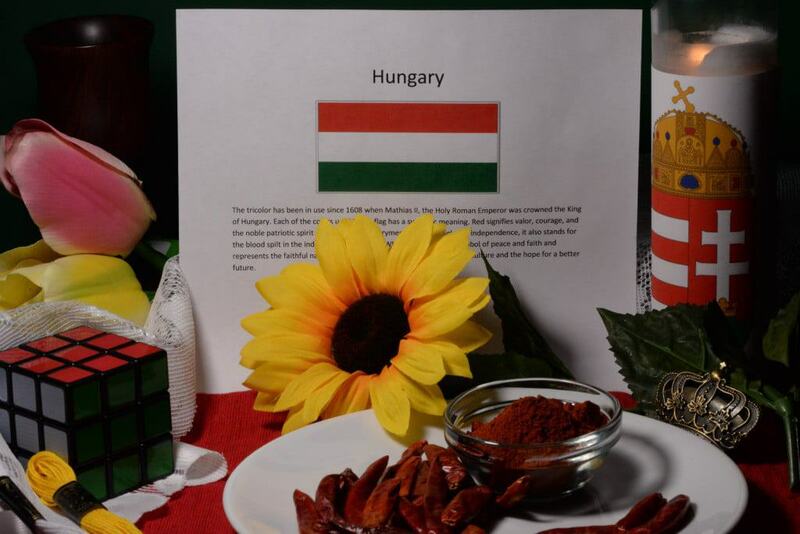 The Hungarians are known to be a smart population, excelling in technology, arts, music, science and mathematics. Just recently, in 2006, Hungarian scientists invented a new mathematical shape called the Gömböc (pronounced goemboet). It is a three-dimensional shape which is in technical terms is mono mono-static, convex and homogeneous, with equal density throughout. When resting on a flat surface, it has one stable and one unstable point of equilibrium. In other words, it acts like the kid’s toy called a “weeble” that uses a weight to right itself, only this shape doesn’t use a weight, it uses its equilibrium points and its ingenious, precision shape and density. Also, I am sure you have heard of the Rubik’s cube. That famous, logic puzzle was invented by a Hungarian engineer named Erno Rubik. It has been quite the brainteaser for decades. What do Hungarians do for a fun evening? “Room escape” games have spread all over Budapest’s abandoned basements and dilapidated bars. You and a group of friends get locked inside a room or a network of rooms and you have to solve a series of logic problems to get out. Hungary has fertile land and the countryside is able to grow enough wheat, corn, rye potatoes and fruit to feed its population. Many rural farmers raise their own livestock; beef, pork and chicken. In villages, nearly every family raises a pig, which is later butchered at a great feast called “disznótor”. This is always done in winter and usually around Christmas time. During the day, after the pig has been killed, bacon ham and sausages are prepared for smoking. The menu includes rib soup, sausages, and black pudding. A special cabbage dish made with meat from the pig’s head is also served. This is followed by lively music, dancing and merriment. There is also nothing like the Hungarian hospitality of the country side. My sister (who wrote about the Roma Cooking Class last week) tells stories of the amazing Puszta horse show and stud ranch she visited while there. 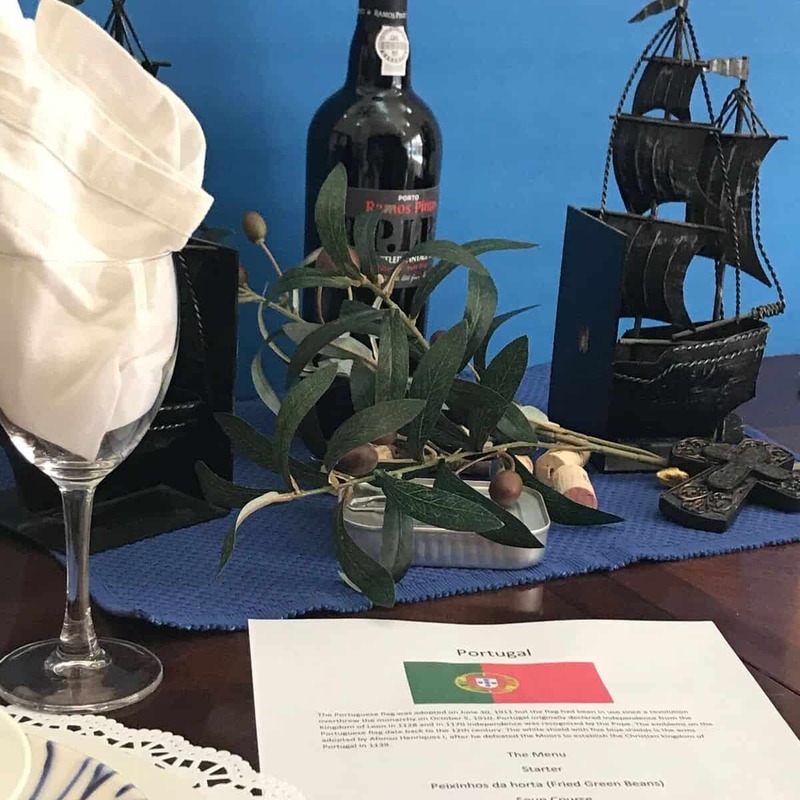 Their group was welcomed with apricot schnapps and pastries. The amazing Lipizzaner stallions and Hungarian Csikos (cowboys) put on a spectacular show of equestrian talent. One Csiko rode five stallions at once while standing on their bare backs. Other displays of the intense relationship between the riders and their horses especially honed on the battlefields, were nothing short of spectacular. All this was followed by a Hungarian feast with free flowing wines and live music. As we look into the cuisine of Hungary, we see it has been influenced on many levels; mostly from the empires that ruled the land. Italian, Turkish, German, Austrian and Russian cuisines are all seen in the many dishes for which Hungary is famous. Probably their most well-known Hungarian dish is called “goulash” or gulays, a Hungarian stew. Dating back to the Magyars, around 800 AD, skilled herdsmen traveled with dried cubes of meat and cooked with onions and water to make a stew. This would be made in a “Bograc”, a cauldron similar to a Dutch oven. A cast iron kettle is hung on an iron stick over the open fire. (Hungarians are known for their one pot meals.) They flavor their dishes with one of three types of paprika, sweet, hot or smoked. Hungary is celebrated for their paprika all over the world. Sunflower oil is the preferred oil with which to cook. Onion and garlic are common ingredients in their cooking, as is sour cream or heavy cream. Cottage cheese, walnut and poppy seeds are used in their sweet treats, often made with filo dough. We set the mood by putting on music by Franz Liszt, a famous composer of 19 Hungarian Rhapsodies and perhaps the greatest pianist that ever lived. (One of Hungary’s most important contributions to the arts is in the field of classical music.) We decorated with their national flower, the tulip, along with sunflowers and peppers for which they are renowned. Our décor, mirrored the colors of the Hungarian flag; red white and green. Lace, embroidery and pottery often decorate the table as well and are a few of the handmade, folk arts and crafts that are cherished. These skills are passed down from generation to generation. 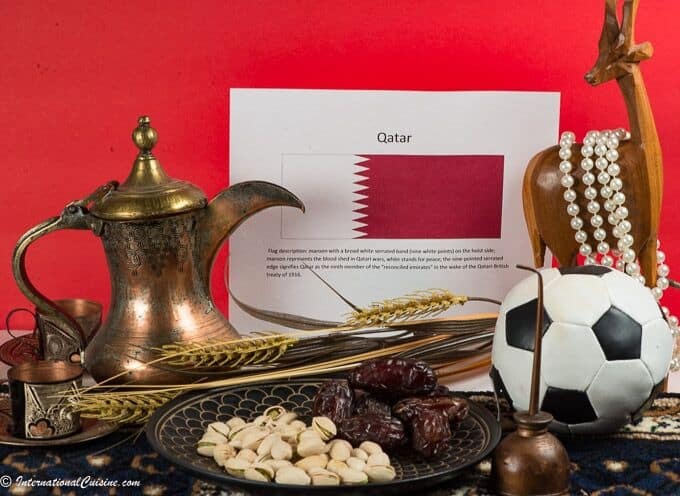 The occupations related to folk arts and crafts are highly respected and their work has become symbols of national unity. We sat down at our table and began by saying, “Jo etvaggat kivanok” (pronounced Yo-ATE-Vah-dyat KEE-vah-nok) which means, “good appetite”. We ate Continental style, fork in the left hand, tines down and knife in the right, as would be customary there. For the starter, we served a rich mushroom soup. Foraged mushrooms can be found on farmers’ market tables throughout the country, especially in the fall. 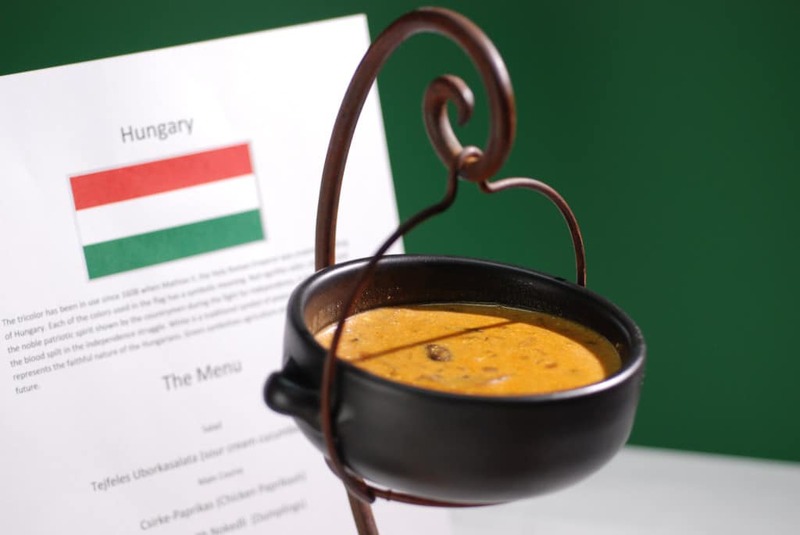 The soup was hearty and delicious with the many of the traditional flavors of Hungary; onions, garlic and vegetables, along with sweet paprika and sour cream. 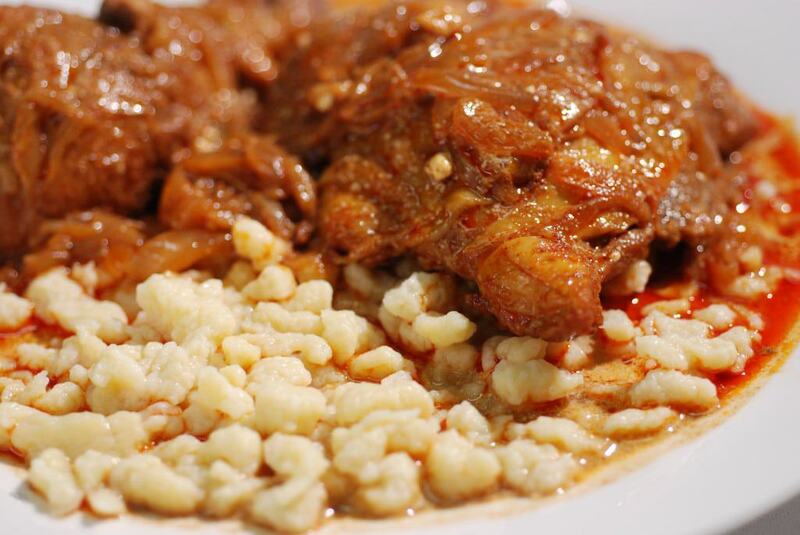 For the main dish, we had one of Hungary’s most famous dishes, called chicken paprikash, served with nokedli, a small pasta like dumpling that was perfect to sop up the amazing flavors of the sauce. This was also served with a cucumber salad. 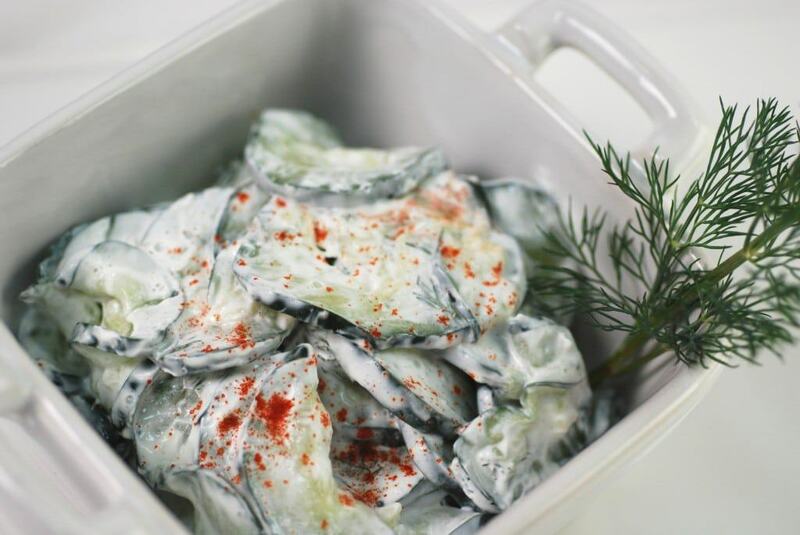 This is a typical salad, made with thinly sliced cucumbers, sour cream, garlic, dill and of course, a sprinkling of paprika. For dessert, we had traditional, little kiffles. They are cookies, made with a cream cheese dough, which would typically be made for Christmas or other special occasions. 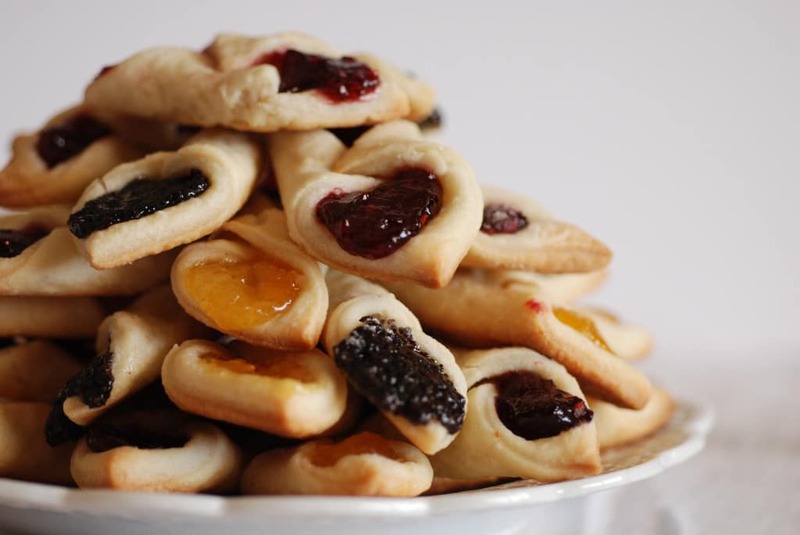 These little treats were flavored with poppy seeds, apricots and cherries. They went perfectly with the sweet dessert wine called Tokaji. Hungary has a robust wine industry and this particular wine dates back to 1703, when the prince of Transylvania gave some to King Louis XIV of France. The Tokaji wine was served at the French Royal Court at Versailles, where it became known as Tokay. The wine was referred to as, “Vinum Regum, Rex Vinorom” (Wine of Kings, King of Wines); a slogan that remains with the brand today. We are now off to relax in a hot spring not far from where we live. Hungarians love their thermal baths and they have hundreds of them to choose from throughout the country. Afterwards we will play a room escape game that I designed. If we make it out of the room, the popular movie of late, “The Grand Budapest Hotel” awaits us.